Modern finance leaders need to monitor the pulse of their business with a holistic view of all important information in a single place. 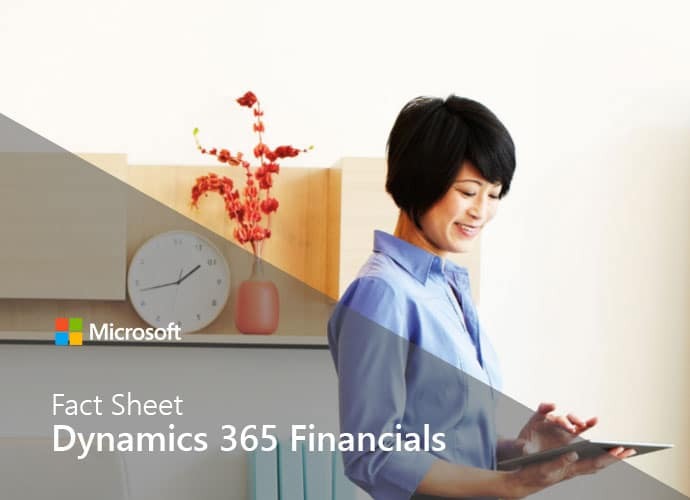 Microsoft Dynamics 365 Enterprise for Operations, formerly called Dynamics AX, can collect data from across various sources like Excel spreadsheets, web analytics, databases, and CRM systems and bring that data to life in seconds through personalized dashboards, workspaces, mobile apps, and reports that can help you make the right data-driven decisions. Combined with business intelligence tools, like Microsoft Power BI, Azure Machine learning and Cortana Analytics, employees at all levels of the organization gain deeper business insights and the ability to anticipate business needs.